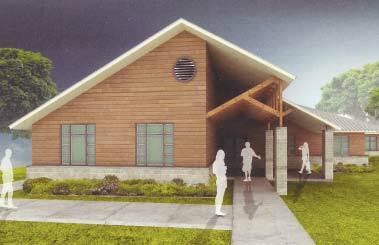 CONSTRUCTION OF THE NEW FAMILY CENTER is scheduled to start in the 4th quarter of 2014, and be completed in 2015. The building will house up to six homeless families, for short periods of time while they receive BAHS services and prepare to reenter the mainstream of society. Besides housing and meals, the center will provide job training, resume preparation, and transportation for job interviews. BAHS is currently seeking donations to complete their $1.2 million fundraising campaign. 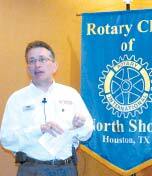 NORTH CHANNEL – Rotarians heard from Roger Elswick last week, about the planned Family Center to serve homeless families in the Bay Area Homeless Service area. Elswick is the campaign chair for the fundraising effort to build, furnish and equip the new center. The goal is to raise $1.2 million for this unique project. 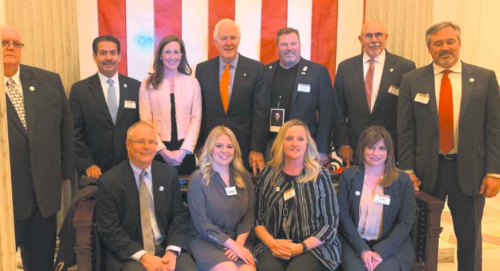 Elswick is CEO of Community Toyota/Honda/Kia in Baytown, and devotes much of his time to worthwhile civic causes. He was accompanied in his presentation by Jim Wadzinski and BAHS executive director Bill Eckert. Elswick explained that although the BAHS has been in existence since 1982, it serves homeless men, women and children in separate facilities. What was needed was a family facility, so that BAHS did not have to split them up. 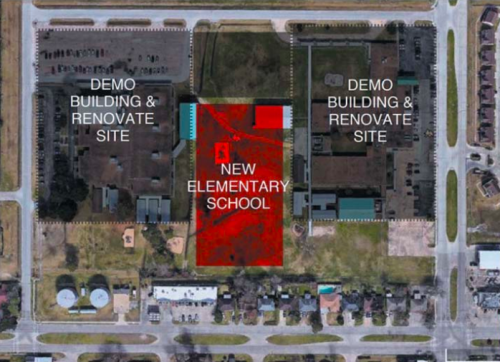 The new building, when completed in 2015, will be 6000 square feet in size, and have six family suites, dining areas, kitchen play area, office, and living room. It will be unique in East Harris County, with no other similar facility available for homeless families, he said. BAHS service area is East Harris County, Chamber, and Liberty counties. This includes Channelview, North Shore, Sheldon, Galena Park, Jacinto City, Crosby, Highlands, Baytown, Mont Belvieu, Dayton, Liberty, and Anahuac. Elswick is seeking donations, or pledges, that can be spread out over 3 years. BAHS is a 501c3 organization, so there is a tax advantage to donations. Individuals or companies that donate can have various rooms permanently named for them. ROGER ELSWICK is Campaign Chair for the fundraising effort for a new Family Shelter. He has been speaking to many area organizations and companies to raise $1.2 million for the new facility. Elswick and Eckert explained further about the services and requirements of Bay Area Homeless Services. Day to day expenses are paid for by United Way, federal grants, fundraisers, and smaller grants. Homeless persons or families that are taken in are provided a safe, friendly environment. They must be drug and alcohol free, and are screened for this on-site. They are not allowed to stay if they violate this rule. While at the facility, homeless persons receive housing, food, job training, resume help for job searches, and transportation for job interviews. The overall Campaign Chairman for this drive is Baytown mayor Stephen DonCarlos. The campaign is termed “Building Hope.” If you wish to pledge or donate, contact Executive Director Bill Eckert, at 281-837-1654 or Roger Elswick at 281-839-7700.